The photos here present a Rottne Forwarder. 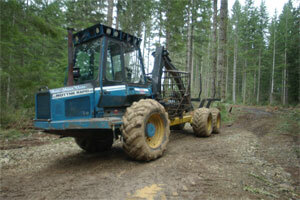 This machine is an integral part of the 'Cut to Length' (CTL) logging methodology. In handling small wood, a mechanical harvester makes the first pass through the woods selecting trees to be removed, typically small trees (relatively speaking) or at least ones that need to be culled or thinned. 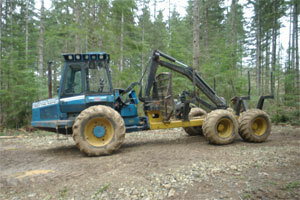 They are mechanically cut and processed into logs and left in small piles in the woods. Typically in this type of harvest the logs are less than 12" in diameter--usually a lot less and are limbed and cut to 16-18 foot lengths. 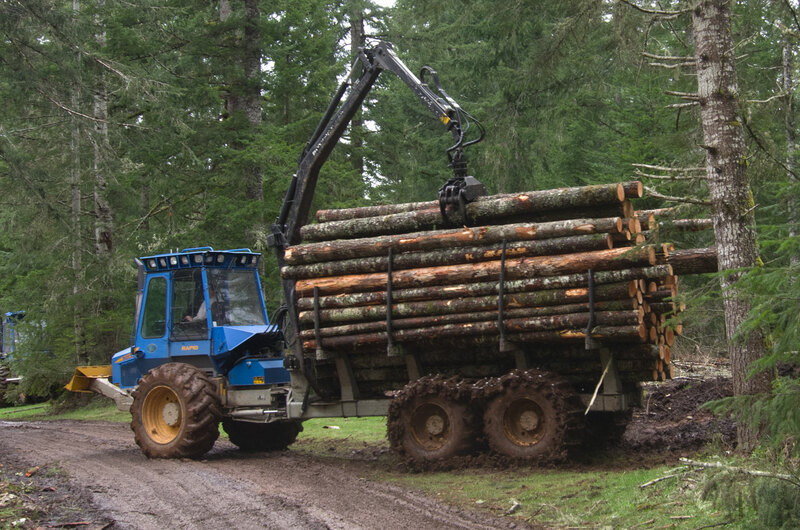 The forwarder is then driven around the woods and the logs are collected and 'forwarded' to a location where they can be loaded on a truck for market. A log pile awaiting such fate is shown in the third photo. 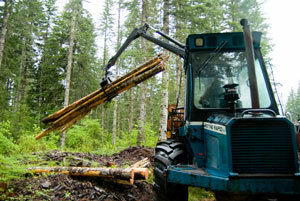 Dense stands of timber typically have many more stems per acre than can survive or which can grow to a large size. This technology is useful for removing the 'excess stems' shortly after they are big enough to be merchantable. 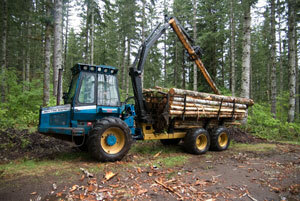 The logs here will be processed at the mill into 2x4s. As for the machine itself, it is not quite you you think it is. 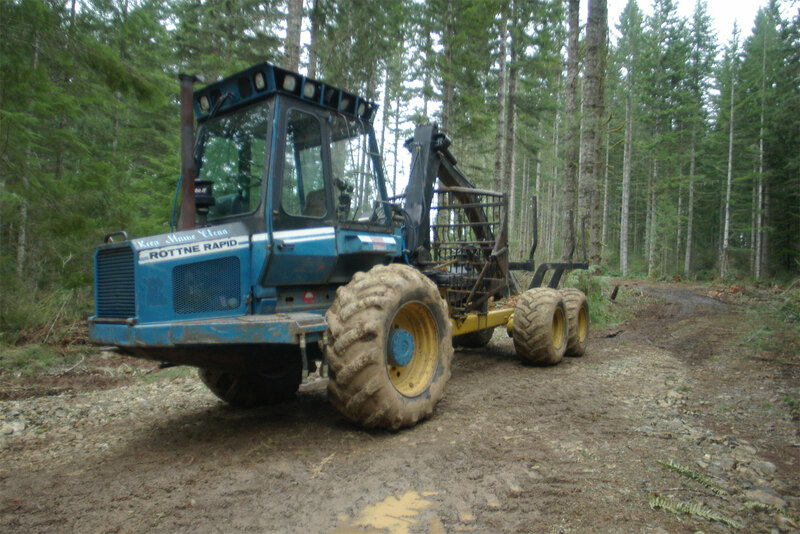 The front unit is actually a Ford farm tractor (less front axle) with the rear unit and the cab being manufactured by Rottne. 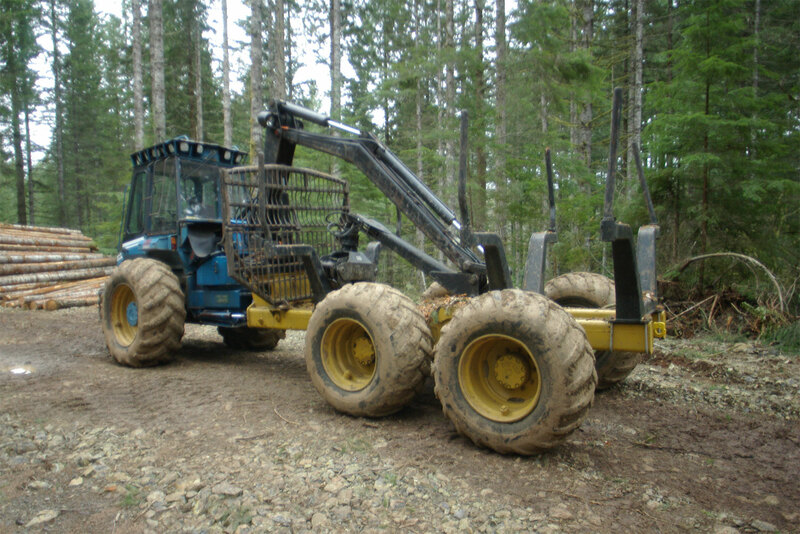 This machine belongs ot a neighbor but it ended up in our shop, and amazingly you can access the transmission by blocking the machine up, removing the tires (from the front unit) undoing a few bolts and pivoting the tractor part out from under the cab (the axle goes down and the engine goes up). With equal amazement, the rear unit (the log carrier) is drive off the tractor PTO complete with the standard farm splined shaft with a drive line slipped on it. You would never expect walking up to this machine that you were looking at a Ford farm tractor with a fancy trailer, but that is in essence what it is. 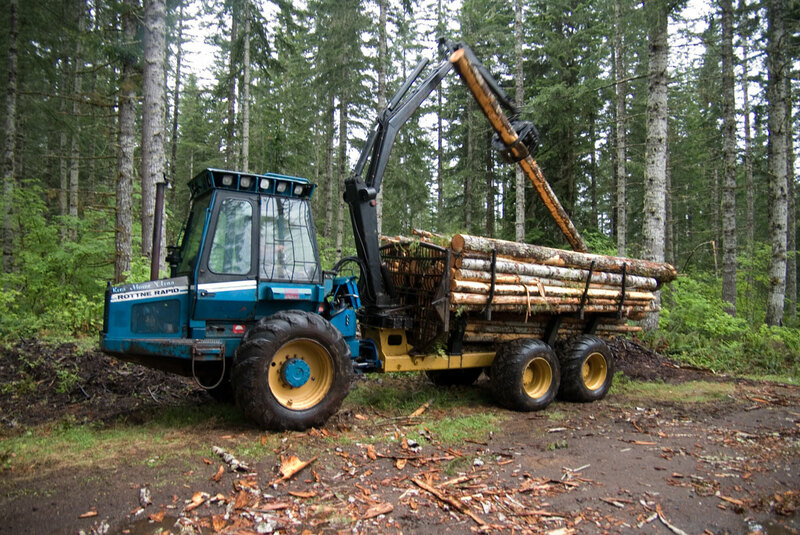 The cab is large and a rotating seat is provided so you can swivel around inside the cab and tend to the controls required to operate the knuckleboom log loader shown here in the stowed position. 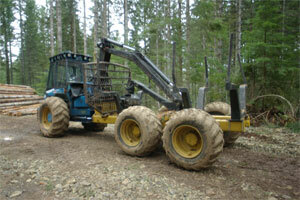 It seems like a strange machine, but it actually works fairly efficiently for its intended task. 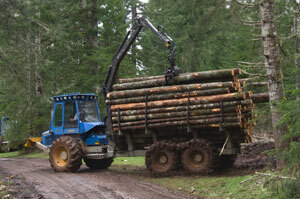 Forwarders, however, do have a lot of moving parts, and are regarded in the industry as 'high maintenance items'.